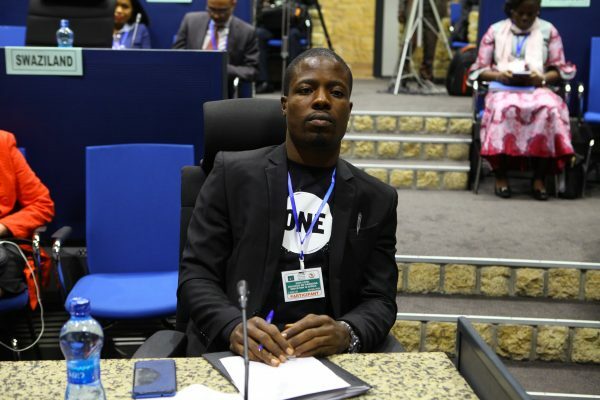 This blog has been written by Nyeneokpon Ekanem from Nigeria, ONE’s AU Youth Voices ambassador. 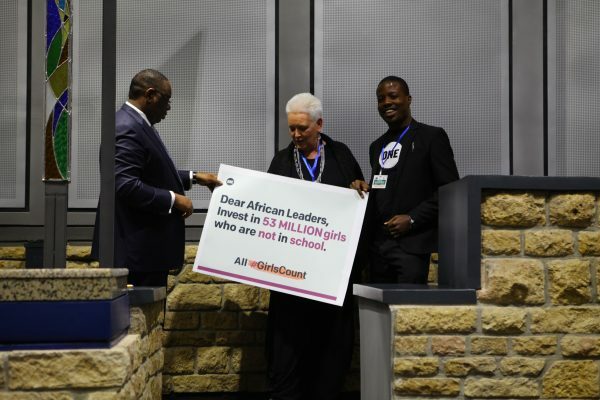 Thousands of you added your voices to ONE’s #GirlsCount postcard asking African leaders to increase investments in education, employment and empowerment to make sure every girl gets the chance to go to school and learn. 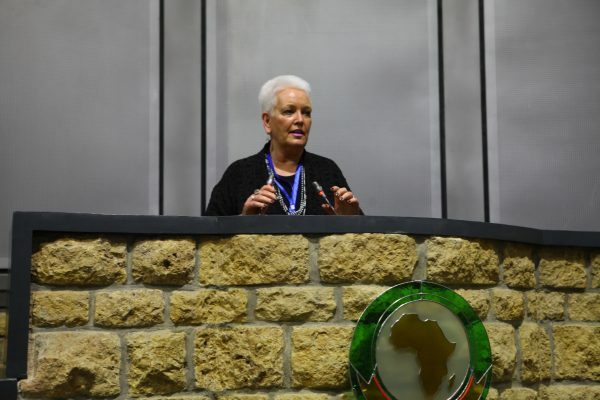 I had the privilege of delivering your call to heads of state and governments at the exalted convergence of leaders, the African Union (AU) Summit! 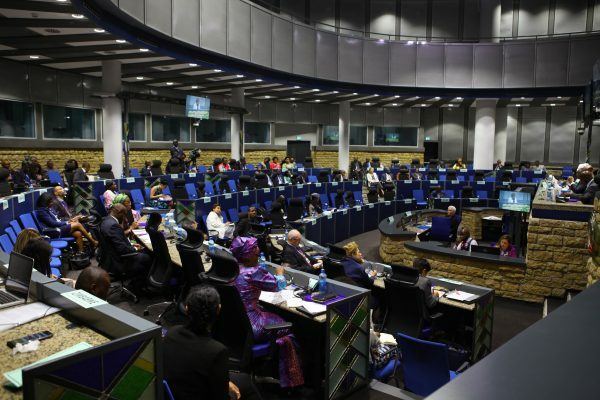 My journey started when my big idea for harnessing the power of girls and women in Africa was chosen to be presented to African leaders at the AU Summit in Addis Ababa, Ethiopia. ONE Campaign asked 18-35 year olds from across African to submit their best ideas for how African leaders can make sure all girls count. The winner was taken to the Summit. My big idea to get all African girls educated is to deploy virtual learning technology that will take formal education into their homes. On Thursday the 25th of January 2018, I was chauffeured down to the international wing of the Nnamdi Azikiwe International Airport, Abuja for my first ever flight to Ethiopia! The expected day, Saturday 27th January 2018 came, the team and I were chauffeured to the Headquarters of the African Union. The building and the people were magnificent. I had to take tons of photos! On the eve of the Summit, the African Union Commission, ONE Campaign, and GPE organised a high level event on financing Africa’s future: “Unlocking development potentials through education.” The event highlighted education as fundamental to achieving every facet of Africa’s development as set out in the AU Agenda 2063 and all 17 Sustainable Development Goals (SDGs). 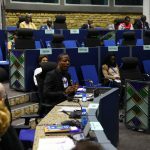 My entrance into the main building – the Nelson Mandela Building, and sights of the designated seats brought me closer to the reality of addressing leaders from different African countries. The Senegalese President, Macky Sall, and the AU leadership presided over the proceedings. President Sall challenged other leaders to see education financing as an investment with a very high return. 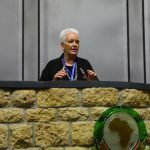 The AU Chairperson’s representative called on leaders to follow the example set by President Sall. He described education as the best investment any nation could make to secure the fortunes of future generations. 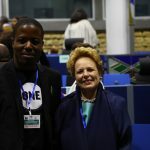 The Global Partnership on education represented by its CEO, Alice Albright, pointed out that the biggest education challenge in Africa is inadequacy of funds, and inefficiency of spending. 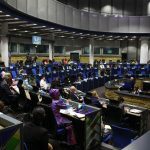 To unlock the potential of education on the continent, more and better financing to support the development, implementation, and monitoring of Education Sector Plans is key. We delivered your call to President Macky Sall that African leaders must invest in the 53 million African girls who are not in school. 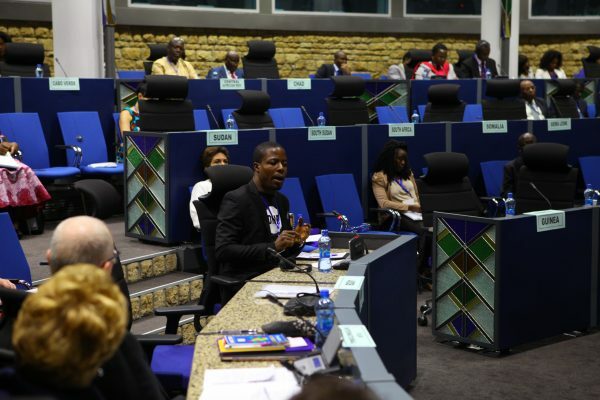 Then came my big moment- I was invited to present my big idea to African leaders present. I told them that in order to make education more efficient, affordable and more ubiquitous, governments as well as other stakeholders must consider deploying virtual learning to take formal education into people’s homes. This will eliminate infrastructure challenges involved in extending access to physical infrastructural. It would also circumvent cultural impediments preventing girls from accessing education. The resources needed to execute this idea include reliable internet connectivity, access to internet enabled devices, power supply, and educational content that matches the needs of African communities. The future is digital, and the internet of things. Digital printing, artificial intelligence and ICT innovations in medicine, agriculture and industry are raising the bar, increasing the competition. 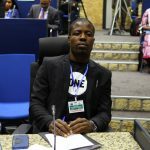 For Africa not to be left behind, the continent’s leaders should take ICT innovation seriously especially in education which would help spark young people’s interest in STEM fields and in the longer term, close the existing gap in Science and Technology application on the continent. While reflecting on what Senegal has done in the area of promoting digital learning, President Sall challenged all the leaders to take home the lessons learnt as well as the experiences shared. 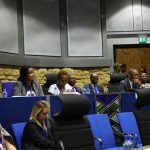 He asked them to commit more of their national budgets to funding education as the only way to fill the huge funding gap by the target date of 2030. The world is facing an alarming education crisis and African leaders need to show leadership in addressing these challenges. 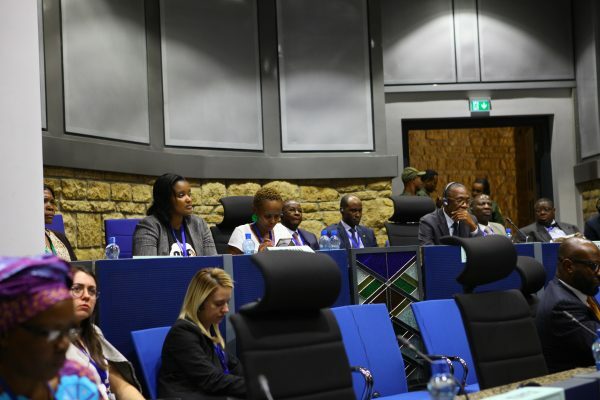 In all, my participation in the high-level Dialogue on Financing Education in Africa at the 30th African Union Summit in Addis Ababa, Ethiopia was indeed an experience of a lifetime. I therefore wish to, in a very special way, appreciate ONE Campaign for giving me the opportunity to be part of such a high-level meeting. 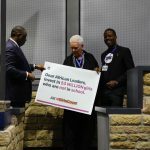 I also commit to taking part in activities that will help push forward the girls’ education agenda. What one BIG idea should African leaders adopt to harness the power of girls and transform all our futures? 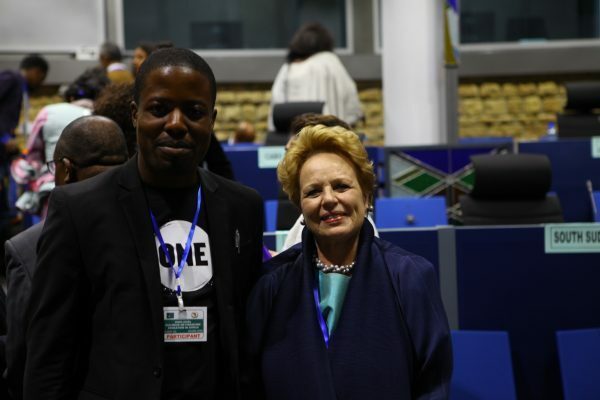 You can read the top ideas from youth across the continent here!